The writer’s is an interior world, a world of the mind. 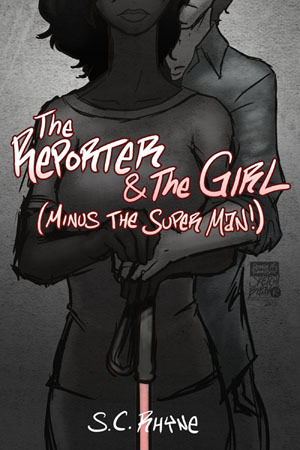 I’m so addicted to this story! I love this! Sabrien Collins is an independent New Yorker. Jon Sudbury is a suburban boy she finds online. This is not a love story. It is however a story about looking for love in this electronic world we find ourselves in. Yesterday was Terrible Tuesday, absolutely everything seemed to go wrong. I was so ready for the day to be over knowing a wonderful dinner was waiting. My mom had decided to get take out for my husband and I, a yummy Southern feast with all of the fixings. As I approached the vehicle with a smile on my face, my husband called to let me know that there was some kind of mix up. There was only enough for one person. I had been thinking about that delicious dinner for the last 2 hours and it wasn’t going to happen. My husband felt bad knowing the day that I had had and wanted me to have it but I told him to go ahead and eat it. It’d be cold by the time I got home. He reassured me that my mom felt bad and got pizza as a back up. Of course there was no comparison, delicious Southern cooked meal with love threaded throughout to a fast food pizza joint, which would you prefer? Only to come home and have the smell of gas smack me in the face. Yes, this sounds familiar. Like last year when the furnace went out and I was hiding under the covers. Long story short, I stuffed my face as quickly as I could with pizza before the Gas man arrived. And when the Gas man came he was unable to find anything wrong, when it gets cold out gas rises and looks for any type of small opening to pour out of, aka somewhere in the vicinity of my house. Terrible Tuesday was doing the running man dance at this point. I was so tired but full and nothing seemed to make me happy. My husband wasn’t pleased with my snippy-ness. I knew he didn’t deserve it but I couldn’t stop, the day had taken it’s toll on my patience. I had to think what would make me tolerable and calm me before going to bed in 20 minutes. I pulled out my favorite go to, my kindle app on my iPhone. Her Best Friend’s Brother By T. J. Dell was waiting for me with open arms. I dove into the story and was unable to release myself in the designated 20 minutes. To be honest I had planned to go to bed around 9:30pm but with the Gas man fiasco, it was already 10:30pm. Just a little more I thought, so that I can end on a good Chapter to hook me for tomorrow. The next time I looked up it was midnight. I had to get up for 8am so I could prepare for work the next day, so I put the device down and closed my eyes. I rolled, rolled, rolled, tossed, tossed, tossed and rolled some more before grabbing my iPhone up again and dove back in. I couldn’t stop, I couldn’t just let it end on that note of the Chapter. There was too much waiting for me to know, too much excitement ahead. Needless to say that by the time I completed the book it was 1:30am. I knew that I was going to be exhausted for the rest of the day but I had to finish it. If I had to choose between Literary Life vs. Reality. Literary Life would win hands down. I have been so busy editing, working with my graphic designer and working my full time job that writing a blog post was impossible. I can proudly say that that should be changing as I’ll have more time for writing soon. 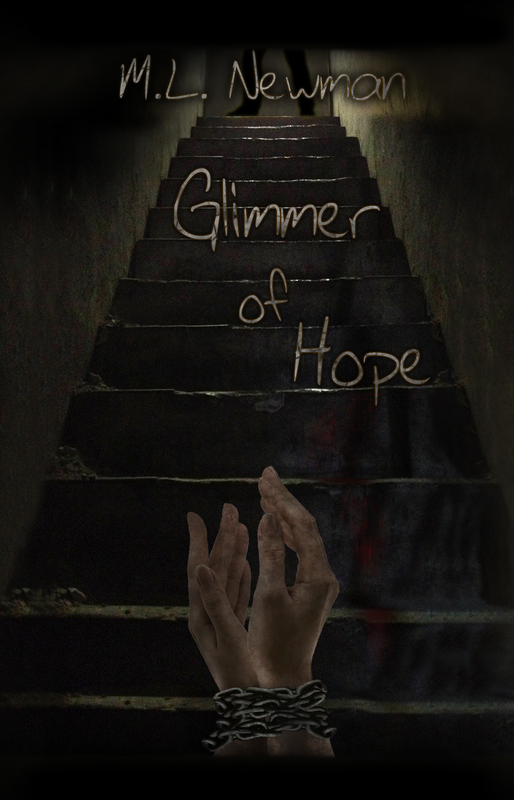 I am finally in the process of putting my novel Glimmer of Hope, the first in the trilogy, up for purchasing as of November 30, 2013. I was extremely naive thinking that most of the work was writing the novel. Even though at the time I knew it was a great deal of work, I truly had no clue. There is honestly no experience like the process of getting published that leaves you feeling full of excitement, a little anxiety, pride and hope. My official website has finally gone live, http://www.mlnewmanauthor.com which is extremely exciting since I’ve been working on getting it together since September. Description: Becki Austin lives a stable, quiet life in New Rochelle, NY with her boyfriend Gary while pursuing her dream career at an animal shelter. While attending a banquet dinner for Gary’s employer, she meets the famous and handsome author Eric Whitman. After a successful night and a lot of hard work, Gary gets promoted to her delight, only for his new job to be located in Arizona. Her life now in a tailspin, will Becki drop everything to move across country leaving her career behind? Also, a coincidental meeting with Eric reveals his haunting past. Can Becki achieve her goals with Eric’s help, or will she be an unfortunate casualty should his past revisit him in the present?